Hope to see you there – keep an eye on our facebook page or website for updates and wet weather alternative plans. We’ll be announcing our calendar of events for the next few months soon. 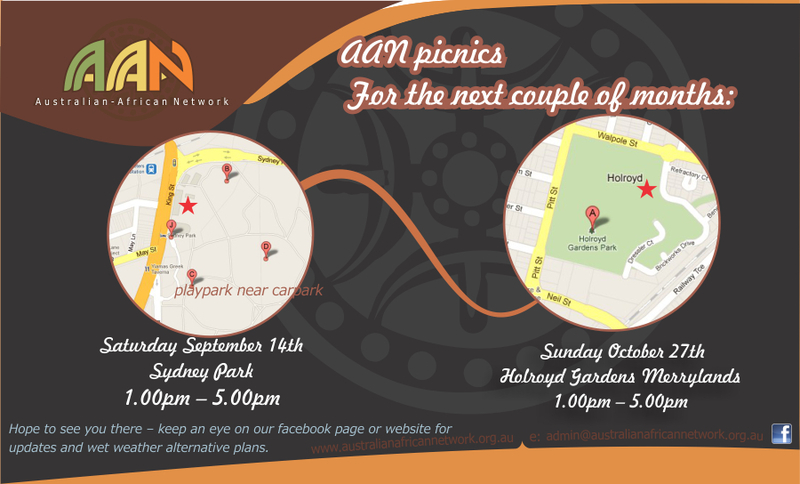 Bring your family and hang out with us at the next AAN Sausage Sizzle. Saturday 25 October, 1.00pm – 5.00pm. We will provide a sausage sizzle but you are welcome to bring other food for the BBQ and/or salads etc. to share. If it’s raining the picnic will be cancelled. Call Suzanne on 0417 777 131 if the weather is uncertain. Posted on January 5, 2008 | Comments Off on Survey: What do you think? We’ve just taken a look at the early results from our survey. AAN set up the survey late last year because we wanted to get a better idea of how many people are in mixed families & couples and what kinds of issues are important to them. So far, 32 people have filled out the survey. We know that’s just the tip of the iceberg – so if you haven’t filled it out, please do it now, so that we can plan activities for the year ahead that will truly reflect what’s important to you. Also, the more data we have about our constituency, the more likely we are to get funding for those activities. The survey results so far indicate that most people are interested in seminars on political and cultural issues (95% answered “please do it” or “fairly interested”) and political lobbying and advocacy (94.8%). Also high on people’s list were seminars on cross cultural relationships (88.2%) and conferences (83.3%). There was a fairly strong interest in picnics (78.9%) and support goups (72.2%), and the least interest in parties (60% – hey, come on!?) and activities for teens (47%). Of the 32 people who answered the survey, there were 23 women and 9 men. 13 people described themeselves as anglo-Australian, 6 as African, one New Zealander and the rest described themselves as Australian. African respondents were from Kenya, Sudan, Nigeria and South Africa. Non African respondents described their partners as being Tanzanian, Ghanaian, Zimbabwean, Central African, West African and Tswana. 16 different languages were spoken in mixed households. 21 people were parents of a total of 37 children, including 26 who were of mixed heritage. The children ranged in age from young adults to infants. The issues people identifed as most important to them were racism, particularly as it affected their children; the need for connection to African communities & culture; employment/accreditation of African qualifications; and financial issues. A couple of respondents felt there were no issues that affected them specifically as mixed families/couples that were different to other families. We do have a lot more data than we’re releasing here – this is just a taste. A full report will be published after we’ve got more results. Does this sound like you and your family? Are these the issues you care about? Get your voice heard, fill out the survey today. Comments Off on Survey: What do you think?